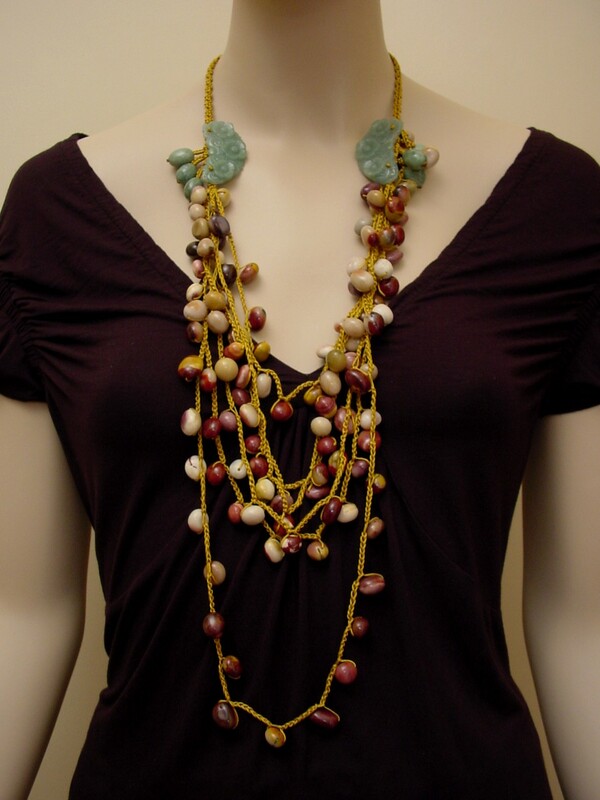 Unique artisan necklace with natural Agate and Aventurine. Hand crocheted jewelry. Home > Aventurine Jewelry > Aventurine Necklace > Aventurine and Agate Long Necklace. Artisan Gemstone Jewelry. Aventurine and Agate Long Necklace. Artisan Gemstone Jewelry. Unique hand-crocheted necklace with Agate and Aventurine carved beads. Long Flower Gemstone Necklace. Crocheted Malachite and Jasper Jewelry. Picture Jasper / Aventurine / Red Malachite Necklace.